Former Kiryat Arba resident Alexander Birbrair is a neuroscientist researching roles of specific cell populations in various tissues. 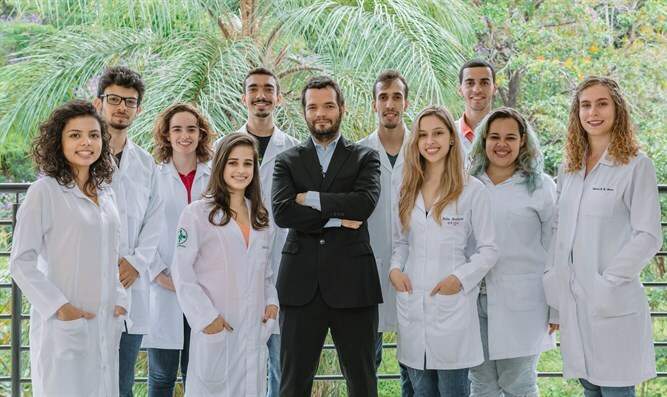 Professor Alexander Birbrair, faculty member of the Department of Pathology of the Federal University of Minas Gerais, is one of the newly elected affiliate members of the Brazilian Academy of Sciences (ABC). The election took place in a general assembly held on Wednesday, December 6. Birbrair is from Kiryat Arba, a suburb of Hevron, south of Jerusalem, was wed in Jerusalem at a ceremony officiated at by Rabbi Eliezer Waldman of Kiryat Arba, and has a young daughter. 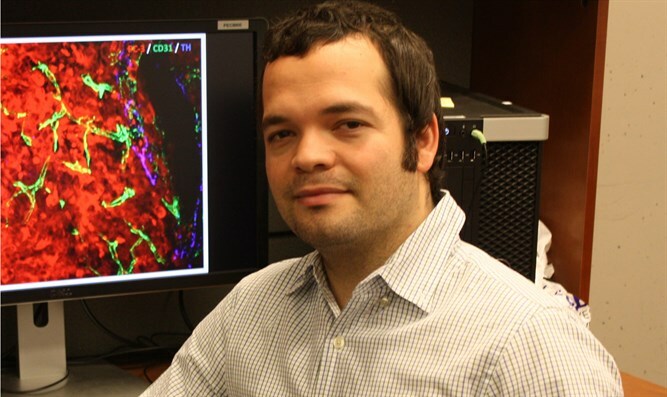 He received his Bachelor’s Biomedical degree from Santa Cruz State University in Brazil, then moved to North Carolina, where he finished his PhD in Neuroscience under the mentorship of Osvaldo Delbono. He came in 1st place at the 2014 3MT (3 minute thesis) competition at Wake Forest University. Birbair did his post doctorate in Stem Cell Biology at Paul Frenette’s laboratory at Yeshiva University's Albert Einstein School of Medicine in New York and in 2016, was appointed to the faculty at Federal University of Minas Gerais in Brazil, where he has his own laboratory. Founded in 1916, the Brazilian Academy of Sciences is a non-governmental entity that acts as an honorific scientific society and contributes to the study of topics of prime importance for society, aiming to provide scientific subsidies for the formulation of public policies. Its members assume responsibilities to the government in formulating relevant public policies and an appointment to the Academy is considered an honor to the university in which the new affiliate teaches and conducts research - and in this case, Israel, too, can be proud of the young scientist's accomplishment. The Brazilian Academy of Sciences has a membership category for young scientists. Each year, up to five top researchers, under 40, become affiliate members. These brilliant young scientists from all regions of the country give new life to the Academy and all work in frontier areas and demonstrate, through their work, great scientific potential.